When D’Youville decided to go paperless, a lot of processes had to go, too. In early 2017, school president Lorrie Clemo challenged the entire campus to ‘go green,’ starting with a voluntary recall of all printers. “The Financial Aid Office jumped right into that challenge,” says Matthew Metz, the former Director of Financial Aid who now serves as Assistant Vice President for Enrollment Management at D'Youville. With 82% of D'Youville College's (DYC) 3,000 students receiving financial aid, and the Financial Aid Office completing upwards of 450 verifications in 2017, it wasn’t as easy as just disconnecting the office printers—financial aid is known for its paper forms and fax machines. Despite all best intentions, paper just kept flowing into the office, so Metz searched for a solution that would help the DYC FinAid process truly support the sustainability initiative. There were a couple of commercial options on the market, Metz says, but they needed a lot of behind-the-scenes effort to manage. That wasn’t what he envisioned. He wanted something paperless, but easy for staff and students to use. That’s when he discovered StudentForms. “We saw a demonstration and instantly knew it was exactly what we needed,’” Metz explains. 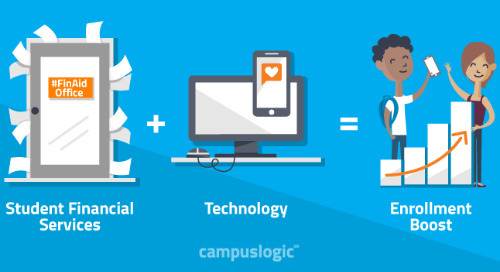 With the CampusLogic student financial success platform he realized that not only could his office go 100% paperless, but the innovative SaaS technology could optimize other tedious processes as well. What else was on the D'Youville FinAid Office wish list? 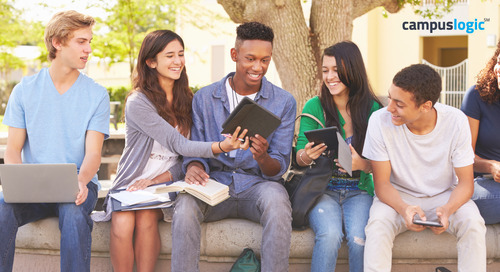 Streamlined verification, data security, and end-to-end student engagement. 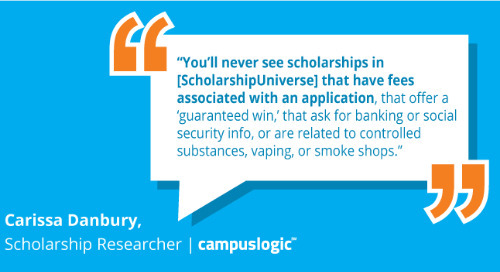 CampusLogic provided all three with automated, mobile-optimized processes. 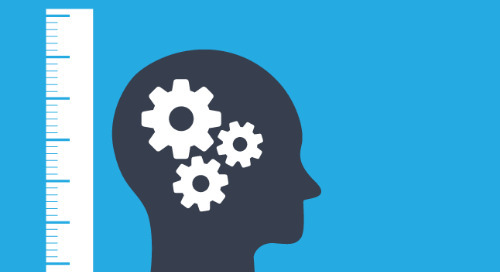 In addition to automating and streamlining Satisfactory Academic Progress (SAP) appeals and Professional Judgments (PJs), StudentForms gave D’Youville the ability to create customs forms for its unique needs—scholarship applications and summer loan agreements. These efficiencies combined powerfully to free up staff members’ time, so they can spend it on what matters most: One-on-one advising with students. 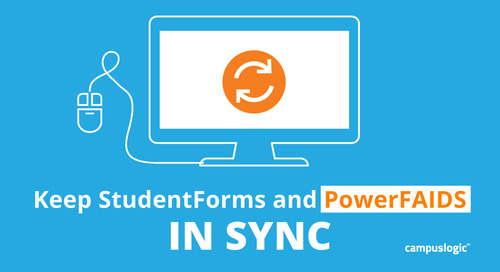 While the FinAid office enjoys life with StudentForms, students and parents love it, too. They praise its self-service capability, and parents especially like how easy the e-signature feature is, Metz notes. D’Youville was live with StudentForms in about 30 days. And it’s been smooth sailing since, Metz reports. The office has met its paperless goal and is enjoying many other side benefits—including a tidy office.